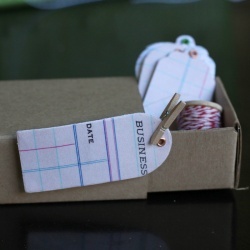 Adorn that pretty package with the perfect gift tag! Set of 9 ledger gift tags (4 school days, 5 ledger). Word placement on ledger paper will vary.